The RV camping area will open at 8 a.m., Monday, July 29th. You must have your RV moved in by Wednesday, July 31st, at 5 p.m. All campers must be off their campsites by Monday, Aug. 5th, at 12 p.m. The tent camping area will also open at 8 a.m., Monday, July. 29th. You must be moved in by Wednesday, July 31st, at 5 p.m. All campers must be off their campsites by Monday, Aug. 5th, at 12 p.m. WHEN MUST I MOVE OUT? All campers must be off their campsites by Monday, Aug. 5th, at 12 p.m. You may not move your vehicle until the completion of competition on Sunday, Aug. 4th. Your camping pass will be emailed to you from Ticketmaster. Your camping pass is not a wristband. You are responsible for either printing your pass or having it readily available via a mobile device upon arrival onsite. HOW MUCH SPACE IS PROVIDED FOR EACH CAMPSITE? We want as many people as possible to have room to camp, so please respect the limit of 10-by-20 ft. per camping spot. This will be strictly enforced. Your tent can be any size as long as it fits within the 10-by-20-ft. campsite. DOES EACH PERSON NEED TO PAY $250 TO STAY IN THE CAMPGROUND? No, the fee is for the campsite. There is no limit to the number of people who can use a single 10-by-20-ft. site. Please remember that only people with Games festival wristbands will be allowed into Willow Island Campground. Campers will have access to restrooms, showers, and hand-washing stations. The restrooms and showers are private and ADA accessible. RV spaces will have either a 30-amp or 50-amp hookup, fresh-water hookups, as well as daily gray/black water removal. 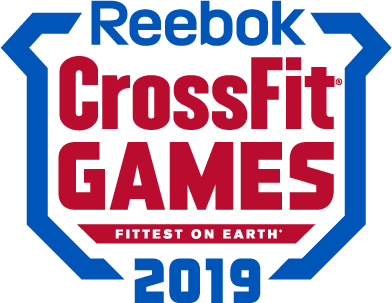 Inside the CrossFit Games festival there will be a limited number of free water refill stations, ATMs and a variety of food and beverage vendors. HOW DO I RESERVE A SPECIFIC LOCATION? CAN I SHIP MY EQUIPMENT TO THE CAMPGROUND? No shipments will be accepted at the Alliant Energy Center. Please pack in your own camping equipment or buy it when you arrive in Madison. No, only service dogs are permitted at the campground. CAN PEOPLE COME TO AND FROM THE CAMPGROUND? Yes, people with Games admission wristbands can move freely between the campground and the venue. Please note that only those with Games admission wristbands can enter the campground. THIS IS CAR CAMPING, RIGHT? No, tent campers do not get to park their car at their campsite. Cars must be parked in a designated lot outside the campground. CAN I BRING FOOD AND BEVERAGES INTO THE CAMPGROUND? Feel free to bring your own food, beverages and coolers. Please note that no glass is allowed. Only gas grills are allowed. No fires are permitted. Coffee and food will be sold at the venue, and there’s a Villager Shopping Center with gas and food two miles southwest of the campground. Yes, you can ride your bike at the campground but not within the Games venue. Please do not lock your bicycle to gate openings, closures or any art installations or it will be considered surrendered. Look for the designated bicycle parking on the festival maps or in the mobile app. CAN I BRING MY FRIENDS INTO THE CAMPGROUND? Yes. As long as everyone has a festival pass, you may have them come to your camping spot. Generators are only allowed in the RV camping area. CAN I SELL OR MARKET MY PRODUCTS? No. If you attempt to sell or market anything without approval from the festival organizers, all items will be considered surrendered and will not be returned. The use of an outdoor cooking appliance is permitted. All cooking appliances must utilize propane as the fuel source. No wood, charcoal or flammable/combustible liquid cooking appliances will be permitted. Only one cooking appliance per campsite shall be permitted. The maximum amount of propane per campsite shall not exceed 20 lb. or 48 lb. of water capacity. A minimum of 3 ft. of clearance shall be maintained at all times while the cooking appliance is in use. No combustible material shall be within 3 ft. of the cooking appliance. Cooking appliances, while in use, shall not be left unattended. Please be courteous of your neighbors and abide by the noise curfew of 10 p.m. If security asks you to quiet down, please do so. All occupied spaces must have a CrossFit Games Camping Permit displayed. No person shall camp in any area except as designated and with prior approval. No firearms, fireworks or dangerous weapons are permitted on the AEC premises. Swimming, fishing and boating are not permitted in AEC ponds. Outside food and beverages will not be allowed into the Games venue. Please place all trash in the nearest trash bin. No littering. RV camping spots are limited to one recreational vehicle. Please respect all posted quiet hours. To visit or stay in the camping areas, you must be wearing a CrossFit Games wristband. Still have questions about camping? Contact us at camping@crossfitgames.com. Shower and restroom facilities are available. Tent campers may move in starting on Monday, July 29, at 8 a.m., and must be moved in by Wednesday, July 31st, at 5 p.m. All tent campers must move out by 12 p.m. on Monday, Aug. 5th. Vehicle parking will be available in a nearby lot, but vehicles will not be allowed in camping spaces. Click here to purchase. For additional camping information, check out the FAQ.